It's official! Spring is here! Yippee! Wow! It's hard to believe winter is already over. This one just zoomed right by me, I tell ya! On my walk today, I was surrounded by the undeniable signs of the season turning; birds chirping away gleefully, the sun shining higher in the sky, and feeling ever so much warmer on my skin; snow melting and causing the near-by creek to roar in the distance. Everywhere, Nature slowly awakening from its long dormancy. I've even seen a few tentative buds peeking out, but leaves will have to wait a little while longer, as we're always somewhat behind, up here on the mountain. 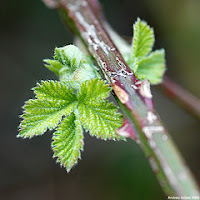 Hard to think of spring without having images of bright, tender green dancing in our mind's eye. In celebration of all the vibrant, beautiful 'greeness' to come (or that's already there for some of you), I thought I'd devote this post to what has become one of our favorite foods: GREENS! Lately, I've been noticing how nearly everything we eat is green. Spring fever you say? Yeah, you might be right. For instance, earlier this week, we had green smoothie, Spinach-Arugula Cream Soup, green salad with my rendition of Green Goddess Dressing, and carrot (oops!) 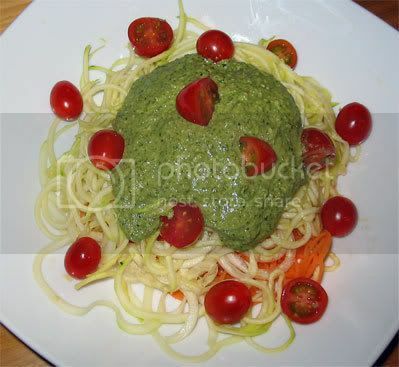 and zucchini pasta with Cilantro-Dill Pesto... All on the same day! See what I mean? I grew up with the motto "Eat your greens!" resonating in my ears, and watching Popeye get supernatural powers from gulping down tins of spinach. (Although, as we know, raw would have been wayyyy more potent!) Still, you gotta give it to the guy; he was definitely onto something! Even though she told me the exact same thing countless times in my youth, I was never really sure exactly why greens were so 'good for me'. It's hard to operate on blind faith alone (nor should we anyway, right?) Who doesn't have 'fond' memories of forcing greens down their throats? I needed to find out for myself what the heck's really behind all this rap about greens. So I put a lot of energy into exploring this, researching different sources on the net. But before I share my findings with you, there's a few things I feel need saying. As my regular readers know, I usually try to stay clear of the more intellectual aspects surrounding the Raw Food Diet. It was difficult, however, to talk about greens without getting into the 'why' they are so 'good for you', at least to some degree. In doing this, I feel there's a risk that you may start beating yourself up over how little greens you eat or scrambling around, trying to come up with an action plan about how to get more into your system. It can get pretty confusing as to 'what is best for us' (whether in life in general or when it comes to diet), as we're constantly being bombarded with contradictory information from right, left and center. It's so easy to move away from our personal experience and get caught into someone else's reality. Here's a couple of rules of thumb that we have learned and found to be helpful along the way in dealing with this difficult issue. No matter how respected or knowledgeable someone is (or seem to be) about something, you have to take it with a grain of salt, and experience for yourself what works for you (or doesn't!) Until that happens, it is going to be nothing but an intellectual concept. 2- It's All An Experiment Anyway! Don and I try to approach everything in our lives, including our diet, not as something static and fixated, but rather as an experiment. A fun, everlastingly new and fascinating adventure; its outcomes remaining unknown. This helps us to be gentle on ourselves and avoid the deadly traps of guilt and self-condemnation. Whatever happens, it's all about learning more about ourselves and how to be in the world. A'right! Now that's out of the way, what follows is a summary of my discoveries. According to Fred, greens "provide essential alkaline minerals, such as calcium and magnesium, that are found in insufficient quantities in fruit, nuts and seeds, not to mention in other more conventional, acid-forming foods." 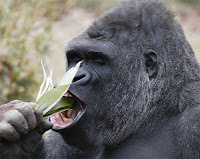 They are also rich in potassium, iron and zinc. All of which are essential for human health. Ahhhhh! OK, now I'm starting to get the picture! for at least a few decades, Victoria Boutenko has given the old adage a fresh twist. In the last couple of years, with the release of her book 'Green for Life', she has actually started a little 'Green Revolution'. Sure, 'green drinks' have been the 'in thing' for a while in the health-oriented community, but Victoria's 'green smoothies' have taken things to a whole new level. Personally, I've always had a hard time going for the powdered stuff, be it supplements or so-called 'super foods'. As Fred puts it: "there's no 'food' that arrives in a bottle, having been made in a factory and sold in powdered form, that will ever compare in terms of 'super-nutrition' to fresh fruits and vegetables." Because minerals and other nutrients interact with each other in a way that can affect their absorption in the body, eating a plant whole is essential for complete assimilation. "Even the best 'powder' made of vegetables or algae looks bleak," Fred continues, "in comparison with the nutritional value obtained from fresh vegetables." This is what makes green smoothies so incredibly powerful. After many years on a Raw Diet, during which they cured themselves of a variety of 'incurable' diseases, Victoria and her family felt that their health reached a plateau. They even started noticing signs of unhealth - a fact that she found very disturbing. Knowing that something wasn't quite right, Victoria embarked on a search for what was missing in their diet; a long journey which eventually led her to greens. "The more I read about the nutritional content of greens," she recalls, "the more I became convinced that greens are the most important food for humans." To pinpoint the 'missing link', however, was only part of the answer for Victoria. She still wanted to know how much greens we need to eat for optimum health. 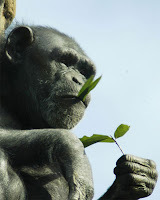 In order to do that, she studied the eating habits of chimpanzees, since they are considered to be the closest creatures to human beings. "According to recent scientific research, they share 99.4 % of the same genes with humans." What she discovered is that greens compose almost half of their diet. As Frederic points out in his 'Power of Greens Mini-Course', "we need to eat greens in such a way that the nutrients can be easily assimilated by the body. Salads are great, but often the tough fiber of greens is not chewed or broken down well enough...This is in addition to the fact that most people's digestion is not as optimal as it could be." The solution? (and here's how Victoria Boutenko's discovery has revolutionized the way we think about greens): just let your blender do the work! 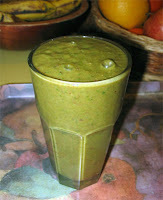 Who would have thought that blending fruits and leafy green vegetables could make such a delicious and energizing brew! A veritable nutritional powerhouse! It's one of those things you gotta experience in order to believe it. When she concocted her very first green smoothie, Victoria was initially a little skeptical. But then she discovered that by mixing the leafy greens with the right amount of fruits, the result was unlike anything she had ever tasted before: delicious, tasty and full of 'freshness'. see "noticeable benefits in her health." She says that even the people who came to her office and drank an occasional cup of green smoothie would notice health improvements in themselves, such as craving more raw foods, weight loss and a receding eczema condition. Here are a few of the incredible benefits of green smoothies that I learned in Raw Family's "Ode to Green Smoothies", posted in their January 2005 Newsletter. - Green smoothies are easy to digest. When blended well, all the valuable nutrients in these fruits and veggies become homogenized, or divided into such small particles that it becomes easy for the body to assimilate these nutrients, the green smoothies literally start to get absorbed in your mouth. - Green smoothies, as opposed to juices, are a complete food because they still have fiber. - Green smoothies belong to the most palatable dishes for all humans of all ages. With a ratio of fruits to veggies as 60:40, the fruit taste dominates the flavor, yet at the same time the green vegetables balance out the sweetness of the fruit, adding nice zest to it. Green smoothies are simply the best tasting dishes for the majority of adults and children. - By consuming two or three cups of green smoothies daily, you will consume enough of greens for the day to nourish your body, and they will be well assimilated. 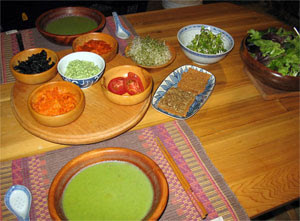 Many people do not consume enough of greens, even those who stay on a raw food diet. The molecule of chlorophyll has only one atom that makes it different from a molecule of human blood. 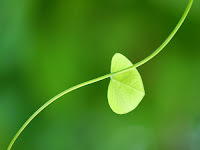 According to teachings of Dr. Ann Wigmore, to consume chlorophyll is like receiving a healthy blood transfusion. 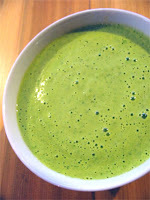 - Green smoothies are easy to make, and quick to clean up after. - Green smoothies are perfect food for children of all ages, including babies of six or more months old when introducing new food to them after mother's milk. - When you consume your greens in the form of green smoothies, you can greatly reduce the consumption of oils and salt in your diet. - Regular consumption of green smoothies forms a good habit of eating greens. Several people told me that after a couple of weeks of drinking green smoothies, they started to crave and enjoy eating more greens. As we've just seen, green vegetables are one of the most nutritious foods on the planet. But not only do we need to include a sufficient quantity in our diet, we've also got to have a good variety too. Victoria stresses the importance of rotating in order to get as many different greens as we can. Some of the greens that contain the highest mineral content are the darker kinds and include: bok choy, broccoli raab, cabbage, celery, collards, kale, mustard greens, spinach, swiss chard, turnip greens and watercress. Not all of those are good in smoothies or soups, however. Some might be at their best in juices or in salads. It's for you to experiment and discover what form is most enjoyable to you. Now that I've got you all hyped and excited about eating your greens (I hope! ), here's a few easy ways to help you 'go green'. Blend water with fruits, and add greens progressively until smooth. Use more or less water, as desired. Blend water papayas, and add other ingredients progressively. Blend until smooth. Delicious! Blend until smooth. Add more or less water, to taste. We buy lots of fruits while they're in season and freeze them. That way, we get to enjoy a variety of fruits in the wintertime, when the choices are pretty bleak. As we don't own a high speed blender, Don has found out that it's best to blend the greens and the fruits without much liquid for a few seconds first. This allows for the fibers of the greens (especially the 'tougher' kinds) to be broken up better and therefore more easily assimilated. We Love Our Green Mush! 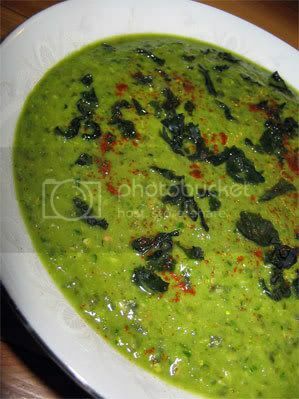 Another fabulous way to get your greens are soups. 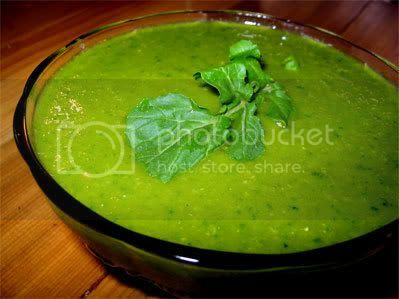 Green soups are part of our daily staples. We just have too many favorites to post them all, but here's a few to tempt your taste buds. We've been making this soup for years and are still enjoying it regularly. It was first published in Dr Robert Young's book 'The PH Miracle' and can be found, along with many other tasty raw soup recipes, in a booklet you can download here. In blender, add avo and half the water and puree, then add the rest of the ingredients. Blend tomatoes, cucumber and lime juice together. Add in the greens and avo progressively and blend until smooth. Before serving, sprinkle with dulse powder if desired. 1- ... can contain more vegetables than green smoothies. 2- ... can included other types of vegetables you couldn't include in a green smoothie. 3- ...are easy to eat. If you want to eat your vegetables but hate to chew a salad for 1 hour, a blended salad is the answer. 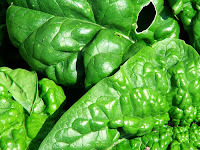 4- ...contain nutrients that are digested and assimilated much more quickly than in a regular salad. • In your blender or Vita-Mix, put in 1-2 tomatoes and/or peeled baby cucumbers cut in chunks, and blend. • Add some lemon juice or apple cider vinegar. • If desired, add half a red bell pepper, and continue blending. 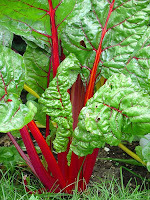 • Add several leaves of lettuce, spinach, and other non-bitter greens. You can also add some green onions. • Use celery stalks to push the ingredients in the blender (this will blend the stalks too). 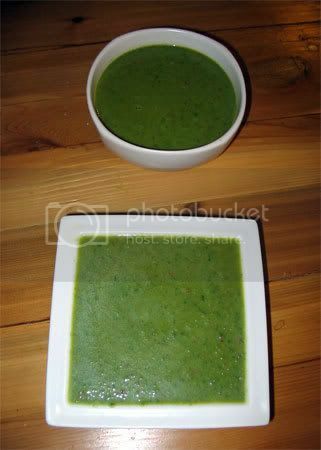 • Add half to one avocado, and turn the whole thing into a liquefied, thick green blob. 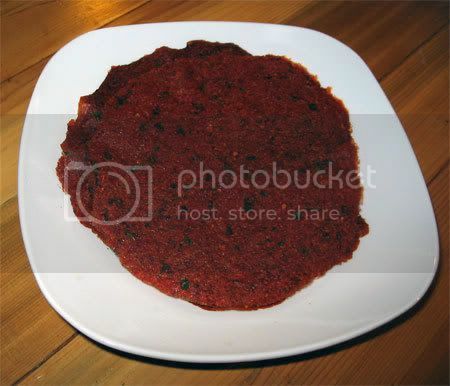 • Season with powdered dulse (a seaweed). 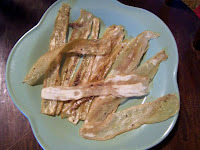 I like to use home-made dehydrated celery powder (as explained in “The Raw Secrets”). 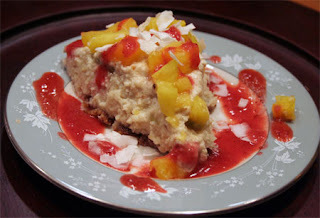 The following recipe is one of the many possible variations and was utterly delicious! Blend the tomatoes first, until they turn liquid. Then add in the lemon juice, greens, and avocado, pushing with the celery stalks, until the entire mixture is blended. Flavor with dulse flakes, nori flakes, and/or paprika. Blend all ingredients until smooth. Add more water until the desired consistency is reached. This dressing will thicken as it sits, so you may need to add more water later. Blend herbs and water until smooth. Then add the rest of the ingredients. Serve on top of your favorite veggie pasta. Taste the patty mixture and form into medium sized balls. Place these balls on a dehydrator sheet and press down on them to form a flat round with a fork. Dehydrate for 6-10 hrs at 110 degrees F. Place in fridge once finished. Serve on top of Tomato-Herb Bread with avocado mayo. Recipes posted here. I strongly recommend doubling the recipe, as it didn't yield much at all (about 1 cup or 4 patties). For a fantastic spread, just skip the dehydration altogether and enjoy on crackers or breads. 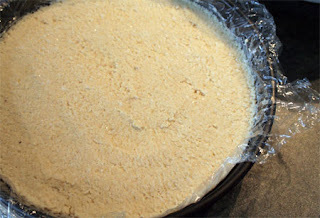 Alternatively, you can also use it as filling for quiche (see recipe below.) Yummo! And now for the grand finale: my Spinach Mini-Quiches! All this talk about greens got my creative juices going. As I had yet to find a spinach quiche recipe that we really like, I decided it was time for me to come up with one of my own. Most quiche recipes call for psyllium as a thickening agent in the filling, which gives it a slimey texture that Don and I don't particularly care for. Size was another issue, as a big quiche makes too much for the two of us. So I settled for mini-quiches instead. These are, hands-down, my most delectable raw creations as of yet. We were both astounded at the result! 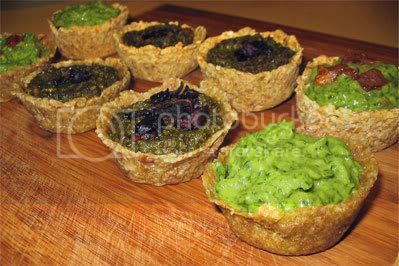 The Mini-Quiches would also make fantastic finger foods for parties or potlucks. I experimented with two different kinds of crusts as a base for the quiches. One is the ever-versatile calzone crust from Alissa Cohen's 'Living on Live Food'. 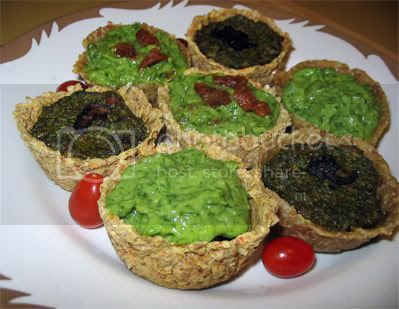 The other is also found in Alissa's book, and is the crust from Elaina Love's Spinach Mushroom Quiche. 1. Blend the zucchini, sea salt and oil until zucchini is smooth. 2. 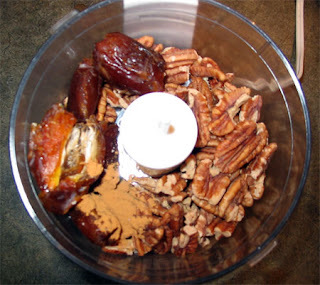 Add the almonds and continue to blend until the entire mixture is smooth. You may need to use a spatula or celery stick to get the mixture to blend. 3. Pour the blended mixture into a bowl and add the flax meal. 4. Here is where I deviated from the original recipe. Using a muffin pan lined with saran wrap, I formed the batter into mini crusts. I put about a couple of tbs of dough in one of the muffin cups. 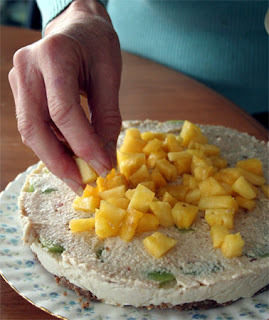 Then, spread it thinly with a wet spoon (makes it easier to work with) and my fingers, all along the bottom and 'walls'. After a few hours, once the outside shell was dry, I simply pulled on the saran wrap and gently turned the shells over onto the mesh to finish dehydrating. Shape into 4 pizza shaped crusts on dehydrator screens covered with Teflex sheets. Dehydrate the crusts at 105 degrees for 4 hours. 5. Remove the Teflex sheets and continue to dehydrate until the crusts are hard. It may take 8 or more hours altogether. 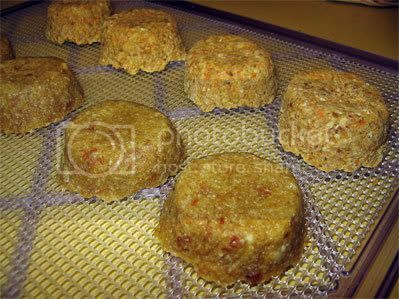 Grind the carrots in food processor. 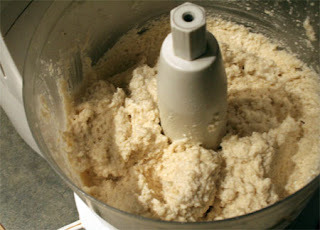 Add in rest of ingredients and blend well until reach dough-like consistency. 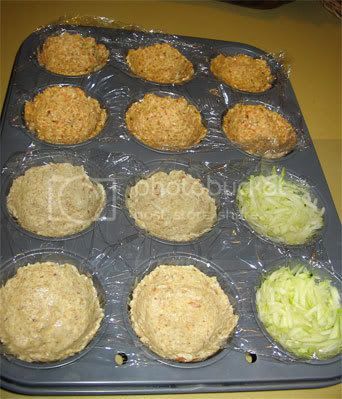 Mold the dough in muffin pans lined with saran wrap, as described above. Dehydrate for a few hours, and then gently turn onto the mesh to allow for the bottom of the shells to dry. Carmella's Notes: I halved the recipe as it makes quite a lot of dough. Alternatively, you could make the whole thing and shape whatever excess dough into pizza crusts or make them all into mini shells and freeze them. I also tried a couple of different quiche fillings. 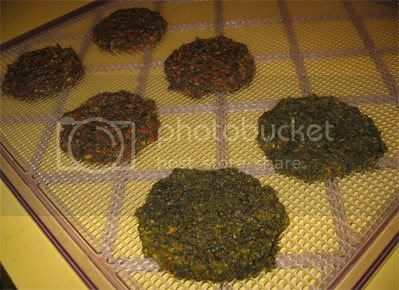 One is based on RawGuru's Kale Patties recipe listed above. The other is a recipe I've come up with. 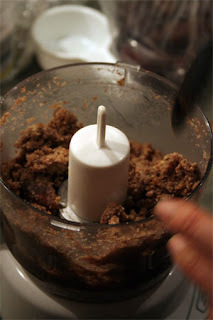 Place the almond butter and tomato in a food processor. Process until mixed. Add in the rest of the ingredients (except for the mushrooms). Taste the filling mixture and adjust seasonings. Put some marinated mushrooms at the bottom of the shell crusts. Pour filling mixture on top. Decorate with a few mushrooms and dehydrate for a couple of hours at 110. Blend all of the ingredients, except for the sun dried tomatoes and mushrooms, until smooth and consistent. Add water if too thick. 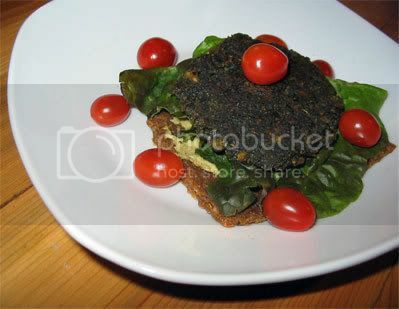 If desired, fold sun dried tomatoes into spinach mixture. 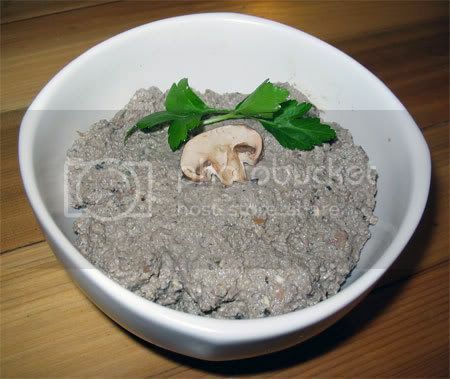 Put some marinated mushrooms at the bottom of the shell crusts and pour filling on top. Decorate with a few mushrooms or chopped sun dried tomatoes. Refrigerate for up to 4 hrs or serve immediately. 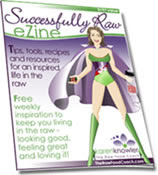 I find Karen's free weekly e-zine, 'Successfully Raw', refreshing and fun. It is also filled with awesome insights into the Raw Diet, thought-provoking articles, as well as recipes and tips. 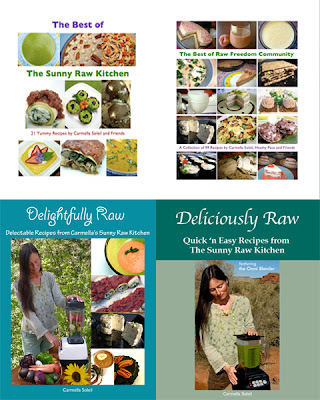 If you haven't already, you can sign up to receive 'Successfully Raw' and get 10 free recipes here. Karen has also recently decided to personally 'go more green' and to keep an online journal about it. 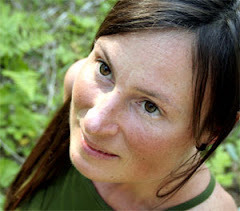 Check out her blog, 'Karen Goes Green', where she'll be sharing her "green-related musings, menus, and rediscoveries..."
So hey, now are YOU ready to color your world green too? P.S. Makes you wonder whether the Big Bad Wolf would have gotten a beating from Little Green Riding Hood, eh? As much as we enjoy a complex, raw gourmet meal, we often eat quite simply. 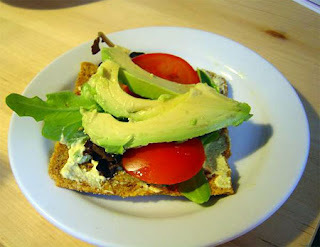 For me, nothing beats a simple supper of soup, salad, and an open faced sandwich on raw crackers or bread. Oh, and sprouts, lots and lots of sprouts! Yum! Simplicity at its best! Plus, sandwiches are always a perfect answer for those days when I don't have a great deal of time or energy to put into preparing our evening fare. Like most people, bread used to play a prominent part in my diet. 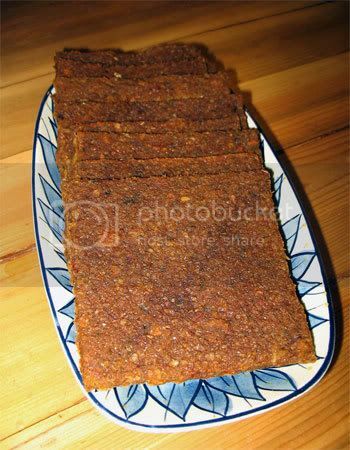 Toasted bread for breakfast, bread for lunch or dinner, and sometimes bread for late-night snacks. I even worked at an artisan organic bakery at some point, eating soooooo much of it; I was turning into a Pillsbury Dough Girl. 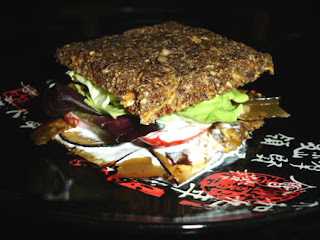 We never dreamed of having raw breads until we got our Excalibur dehydrator. I mean, sure, we had tried the 'Manna Bread' sold in health food stores, but never quite took to it. (Tasted too much like cake to me!) 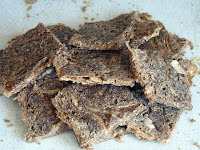 However, I was thrilled when I unbaked my first batch of raw bread. Yay! At last, something simple to enjoy with our daily soups! 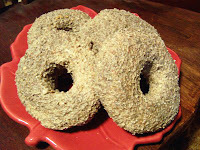 Aside from the many bread recipes in her book 'Living on Live Food', Alissa has a Rye Bagels recipe. Although I haven't had a chance to try it yet, it's said to be very good. She has actually shared the recipe on the Forum. Just look here. Still, I haven't totally given up on new bread recipes. In fact, I just made RawGuru's Tomato Herb Bread. 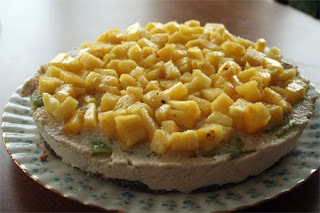 Although the recipe needs a little tweaking (see my comments), it is absolutely delish! A new favorite! In a blender, add the rest of the ingredients and blend till thick. Add this mixture into the nut/seed flour. Stir everything with a wooden spoon or by hand. 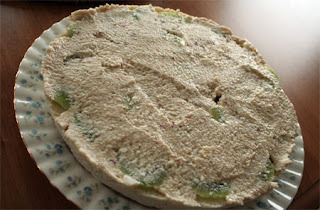 The dough should be pliable and elastic. Add more flax seed meal if you think it's necessary. 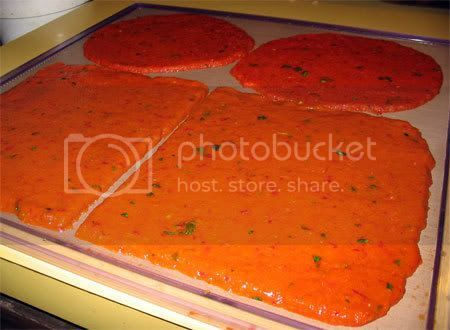 Line a few dehydrator trays with teflex sheets and spread a thin layer of the dough with a spatula. Make it about 1 inch in height. (!?!) Using a butter knife cut through the dough to form 9-10 squares. Dehydrate for 3 hrs. and remove from the teflex sheet and place on the mesh sheets. Dehydrate for 8 hrs or until firm. This bread tastes totally awesome, however, it needs a little tweaking. Nothing that can't be easily overcome though! I don't know if I did something wrong here (all I can think of is that I used left-over almond pulp instead of almond flour), but it did not yield a lot of dough at all. There is no way you could spread the dough an inch thick and fill several trays like the recipe suggests! I also ended up adding some of the soak water in order to make the dough more manageable and still, it just barely filled a single tray, spreading the batter more like a 1/4 inch thick. In any case, I'd strongly recommend doubling the recipe to make it worth your while. It's so delish, you won't regret it! If I was to list all the possibilities of sandwich fillings to choose from, this could easily turn into the longest blog post in history! Nut 'cheeses', spreads, pates... Just take your pick! Blend nuts and seeds in processor until smooth. Add remaining ingredients and blend until smooth, adding water until desired consistency is reached. In a blender, blend avocado, olive oil, lemon juice, apple cider vinegar, honey or maple syrup, nama shoyu, mustard (if desired), garlic, parsley, and basil until smooth. Add fresh water a few drops at a time to blend to desired consistency. Season with sea salt. Sauce should be thick and smooth. For more yummy raw condiment ideas, you may want to visit this thread. Some of our favorite sandwiches include nut cheese, avocado, tomato, marinated mushrooms and lettuce on almond bread (shown on left) and BLT on onion bread. Yep, there's even a raw approximation of bacon made with eggplant (although, eggplant bacon doesn't really taste like the 'real' thing - which is totally fine by me!) 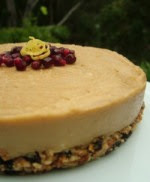 The recipe is a classic on Raw Food Talk. 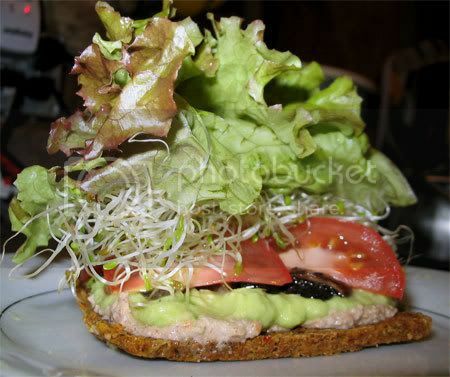 But wait, since pictures are worth a thousand words, how about I let Raw Food Talk's many talented raw chefs give you some more great sandwich combos? 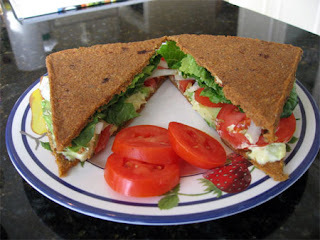 Mmmmmmmmm... Making me fall in love with raw sammies all over again! Wraps are the healthy, 'hip' version of sandwiches; perfect for those times when you feel like something a little lighter. 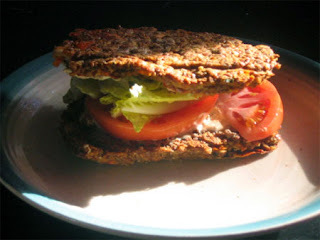 We used to make wraps out of Ezekiel sprouted tortillas, but these sort of fell by the wayside too, as we embraced a fully raw diet. 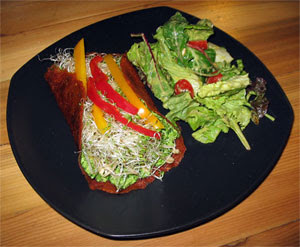 Last summer, my good friend and raw chef, Chantale Roy, was selling wonderful, tasty veggie wraps at the farmer's market. So light, pliable and uniquely different from anything we'd ever tried before! Armed with the list of basic ingredients, I tried to recreate them at home, but let's just say that the results weren't too conclusive (and I'm being generous! LOL) In any case, they looked more like crackers (and crumbly ones at that!) rather than soft wraps. Disappointed, I gave up on my wild wrap experiments, hoping I'd eventually come across a similar recipe. 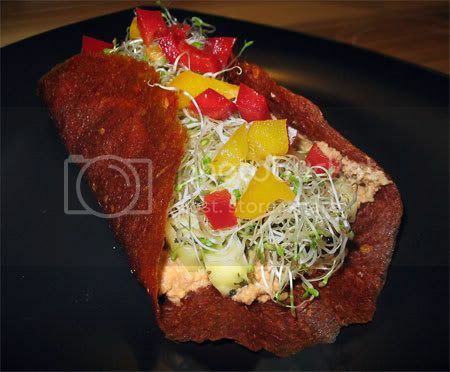 When I recently stumbled upon Cherie Soria's veggie wraps (thanks to s.alubrio.us' del.icio.us raw recipes bookmarks), I instantly knew I had finally hit the jackpot! 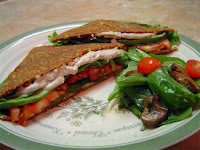 You'll find 3 of Cherie's recipes for soft tortillas/wraps on this site. If you look closely, you'll notice that they all follow a basic formula of 10 to 12 cups of veggies, avocado, seasonings, and psyllium husk powder (to help the ingredients bind). Once you get a feel for it, you can easily adapt the wraps to suit whatever you have handy. A great way to use up those veggies that are wrinkling away in your fridge too! 1. 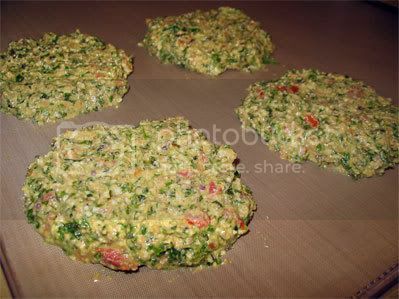 In a high-powered blender, purée the bell peppers, zucchini, tomatoes, and leek or onion until smooth. Add the onion powder, garlic, and salt, and purée again. While blender is still turning, add the avocado, and then the psyllium powder, and blend well for a few seconds. 2. If desired, pulse in the cilantro until it is broken into pieces. Do not fully process; the cilantro should be in small pieces. 3. Using 1/2 cup of the mixture for each wrap, use a flat rubber spatula to quickly form four flat disks on a dehydrator tray lined with a nonstick sheet. Each disk should be about 7 inches in diameter, and they should not quite touch each other. 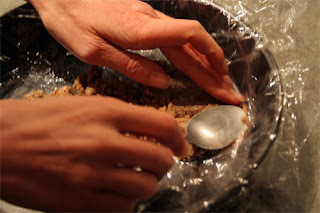 Spread the wraps into round disks quickly, or the mixture will thicken and become difficult to spread. 4. Dehydrate at 105 degrees for about 4 hours, or until you can easily remove them from the nonstick sheets. 5. Turn the wraps over onto mesh dehydrator screens. Place an additional mesh screen on top of each tray of wraps. This makes them flatter and easier to store. Continue dehydrating another 3 to 4 hours, until dry but still flexible. 6. 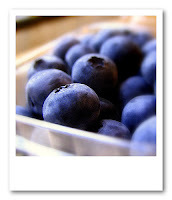 Store in an airtight container in the refrigerator for up to two weeks, or in the freezer for up to two months. As you can see, I also experimented with making some square wraps. It does save a little work, although you do get the hang of making the circles after a while. Just spread the batter (maybe a little over 2 cups) on an entire teflex sheet and then score it into 4. Alternatively, you could probably cut the wraps after they're dehydrated, with scissors or pizza cutters. Actually, the veggie wrappers are so deliciously flavorful themselves that you'll find you don't need much more to make a tasty meal. Rich Cheddar Sauce, marinated zucchini and Portobello mushrooms, alfalfa sprouts, red and yellow peppers and black olives. 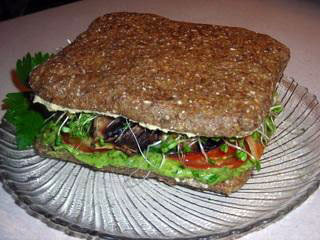 Creamy Spinach Spread, mung bean sprouts, alfalfa sprouts, red and yellow peppers. This is actually a very simple recipe. I got the idea one day when I had left over 'cream cheese'. Prepare the cream cheese (or use some you have already made). 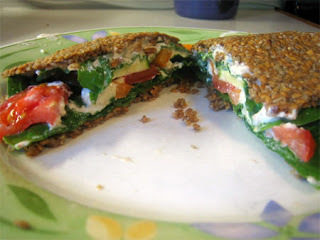 Gently fold the spinach, garlic and seasonings into the cream cheese. Another scrumptious and quickly whipped-up filling is avocado mashed up with a little pesto of your choice, tomato, lettuce and sprouts. Simple but so tasty! For an even easier and lighter alternative, simply wrap your favorite fillings in lettuce, chard, collard or cabbage leaves. Oh, and I almost forgot nori sheets! You may have noticed a few recent changes around the Sunny Kitchen lately; all aimed at helping you find your way more easily around this site. In addition to the newly added Recipe Index being organized alphabetically, by categories as well as by blog posts, you can now see at a glance whether recipes are 'dehydrator-free' or 'dehydrator-friendly'. Can't remember which post talked about dehydrating temperatures? Wondering whether I've already discussed feeding raw foods to our animal friends? Or perhaps you have a bunch of ripe tomatoes sitting on your counter and would like to see if there's any interesting recipe ideas floating around this blog. You can now do a search of the SRK's archives through a Google Search Engine. Simply type in what you're looking for and hit the button! To learn more about Technorati tags, you can visit this blog. Oh, and while on the topic of Feedblitz subscriptions, a few of my readers have mentioned to me how they have signed up, yet haven't been receiving any email notifications. As I was saying, it's good to keep in mind that computers aren't infallible. Also remember that the Feedblitz registration is a two-step process. Once you have filled in your email address in the appropriate box, keep a close eye on your inbox. You should receive an email (usually within minutes) asking you to confirm your subscription. If you don't, you might want to check your SPAM folder, in case it was sent there. I know it's a bit of a drag, but the idea is to avoid other people signing you up for blogs you're not interested in (or worse, never even heard of!) If you are still experiencing difficulty, it might be a good idea to just try signing up again.